Newl Fishing and cooking school. For rent: rowboats, fishing motorboats, fishing gear and equipment. 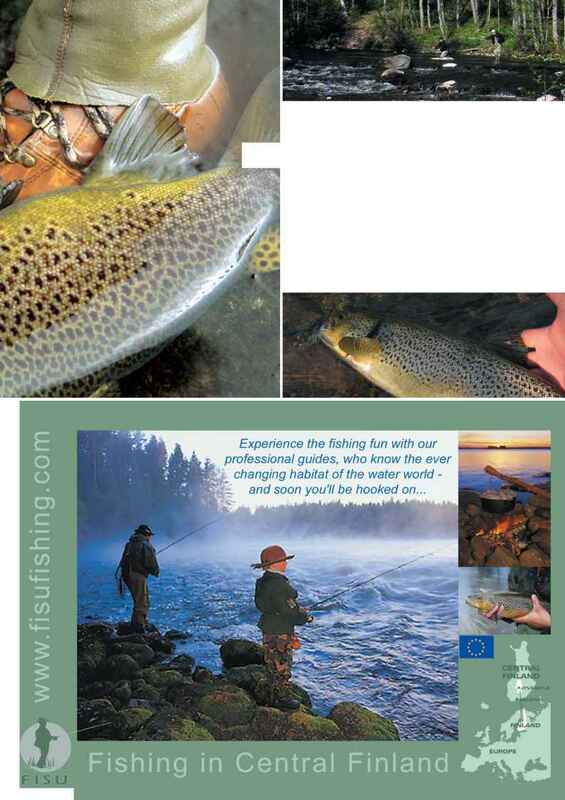 We sell fishing permits, fishing gear, worms and souvenirs. Fisherman's hut, 102 m2. B&B. Cottage (24 m2) and sauna on an island in Saimaa. Meals on request, including meals prepared by open fire. Fish smoking service for guests' fish. 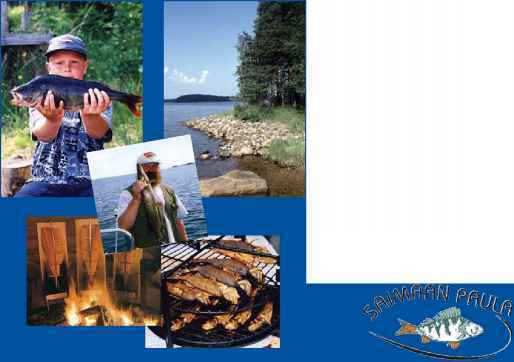 For fishing weeks and weekend packages, visit our home page www.saimaanpaula.com. Open May 1 - September 30, 2005/2006, daily from 9 a.m. to 10 p.m.
A pleasant camping area Salmon pool, fish smokehouse, beach for swimming, 3 cottages, sauna by the lake, boats, bikes and fishing gear for rent. 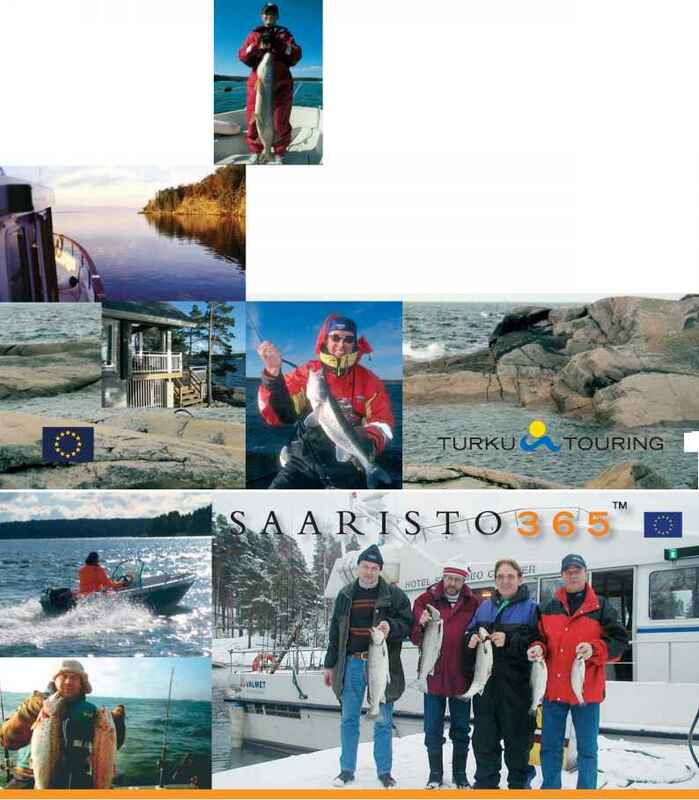 Fishing permits: For Vuoksi and Saimaa as well as national permits Vuoksi permit prices: day 6 EUR, week 10 EUR, year 30 EUR. Elämys-Valkea, a lovely, peaceful wilderness lake. Open all year around - on request. 3 hours/3 fish: 45 EUR per person Minimum 2 fishers. Additional fish at kilo price. Rainbow trout, brown trout, pikeperch and arctic char. 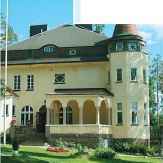 Holiday cottages on Lake Saimaa, 27 km from Lappeenranta. 37 cottages and a hotel. A place of great natural beauty. Turku Touring Tourist Information is your link to attractions, services and events in Turku and further afield. Browse also through the vast and varied selection of holiday cottages! 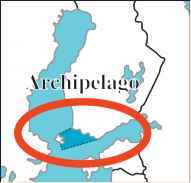 For fishing grounds and permits, boats, equipment and accommodation in the Archipelago call in at these addresses throughout the year. Fisherman's archipelagic paradise can be found in the northern Baltic Sea off the coast of southwestern Finland. Imagine more than 20,000 named islands, sheltered straits and stretches of open sea with shoals swarming with fish. High-quality base vessels, professional guides and a wide range of accommodation options with conference spaces are guaranteed to fit the bill of groups and individuals alike. Have a glance at the available choices. Please Note Finnish Tourist Board takes no responsibility for any amendments of product information, rates or other conditions. Therefore when using this brochure, please consult the provider or sales organisation of the services. All prices are given without obligation. All prices include VAT where applicable. It is clearly indicated whether prices are net and whether a commission is included. As far as possible the prices are calculated for 2006; some of them are estimated. Please check the exact price with the supplier when making a reservation. Tour operators reserve the right to alter the programme and prices. Inquiries about special prices can be made directly to the service supplier and providers. Copyrights 2006 by the Finnish Tourist Board, destination operators and Markku Kemppainen. All rights reserved. 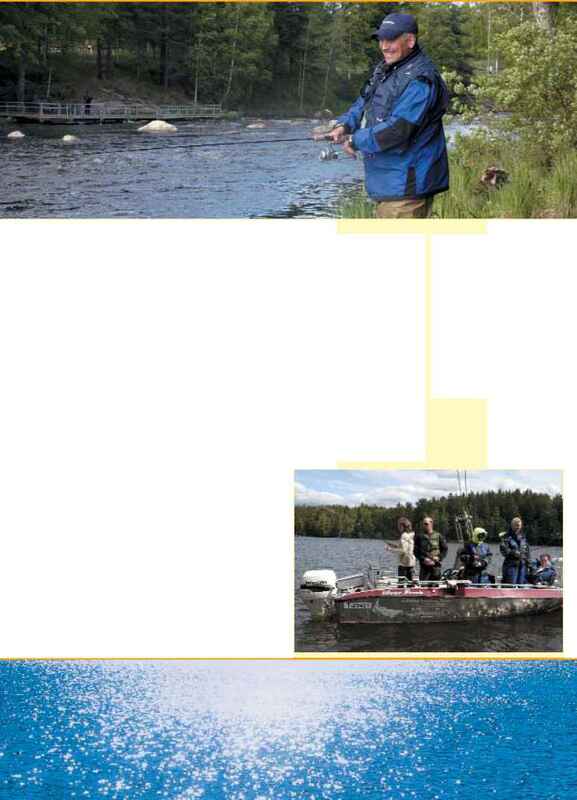 No part of this brochure may be reproduced without the written or other legal consent of the Finnish Tourist Board, except in case of brief excerpts in reviews and articles. Design and production: Chili Design, Helsinki 2006. How big is samaa in finland?